Summer’s heat, dust and long road trips will take its toll on your car. It’s important to make sure your car is ready for the upcoming summer and all of the fun activities! Here are 5 tips to help prepare your car for the summer! The summer heat is naturally tough on your car, sitting in traffic or parked outside makes it easy for your vehicle to overheat. If your engine gets too hot, moving metal parts in the engine can start to fuse together cause extreme internal damage. To ensure your car doesn’t overheat, it’s extremely important to ensure your car’s coolant system, pumps, hoses, thermostats and fans are all working properly! Those who have driven through the hot summer weather without air conditioning know the big difference a little cool air can make. A malfunctioning air conditioning unit may be caused by low levels of refrigerant. Not sure if how your air conditioner is working? Bring it in and have one of our Certified Technicians take a look! Fresh tires will increase traction, give you better fuel economy and sharpen handling. Don’t enjoy changing tires? All-season tires are a great alternative if you don’t want to use seasonal tires. Brakes are the single most important aspect of your vehicle. Make sure they are checked by a trained technician to ensure brakes and brake pads are 100%. Clean engine oil keep the metal parts from touching and grinding down the parts. The oil contains several key additives to move dirt particles towards the filters. 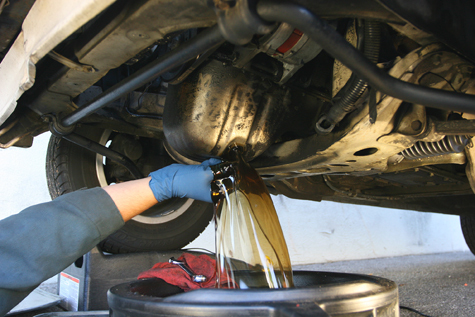 Manufacturers recommend oil changes every couple of months, it’s important to check oil monthly to make sure the engine runs smoothly. Need help getting your car prepared for the summer? Bring your vehicle in to one of our six car dealerships and our certified technicians will be more than happy to help you out! Call us at 1.888.599.6993 or visit our website for more information.